Virginia’s top teen golfers will head to Magnolia Green Golf Club on Monday, October 12 to compete in the VHSL 5A-6A State Championship. Beginning at 8:30 a.m., the young men and women will play the par-72 layout form 6,309 and 5,360 yards, respectively. Golfers are in for a stern test on the Carolinas-style layout, crafted by Jack Nicklaus Design in association with Tom Clark. It won’t be the generous fairways that give players fits; it will be the well-guarded greens. 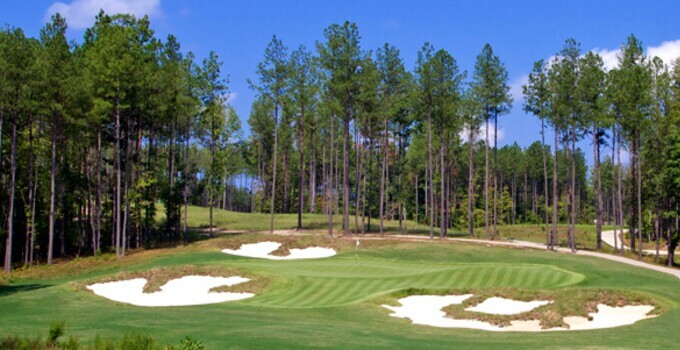 Ture to many Nicklaus courses, Magnolia Greens Golf Club places an emphasis on the second shot. Undulated greens and strategic bunkers stress club selection and distance control to score well. Be on the lookout for an exciting finish! Teams that find themselves locked in a heated battle will have to withstand a nerve-wrecking finishing hole. The lengthy, par-4 No. 18 provides a perfect, drama-packed ending as golfers need to find the fairway, then face a dangerous downhill approach to a heavily undulated green. Hold on tight, it’s going to be a thrilling race to the title. Less than 25 miles southwest of the state capital, Magnolia Green Golf Club is the centerpiece of Magnolia Green, the region's best-selling community. Formerly the 9-hole Westham Golf Club, it was recently expanded into a par-72, 7,150-yard course under the watchful eye of iStar. One of the U.S.'s leading developers of master-planned communities, iStar invested more than $3 million to build the new nine, making Magnolia Green only the second 18-hole course to open in Virginia since 2010.